Viribus Unitis Uma Pan "Hulda"
Our visit to Czeck was successfull! Hulda's and Ryuu's gorgeous red boy was born at 20th of March, 2013. Hulda gave birth normally and takes care of her dear son, like a mother should. 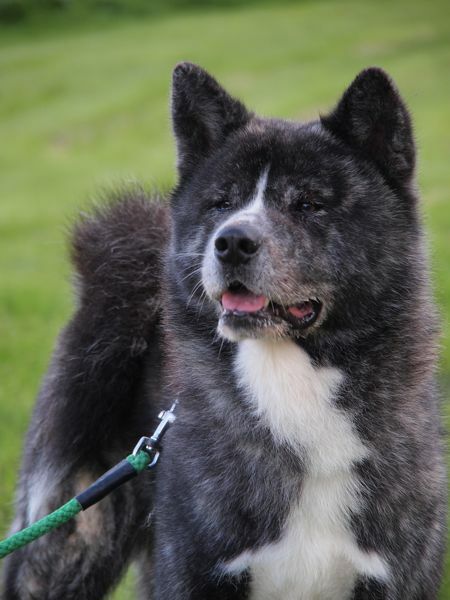 Ryuu is extremely dark red, wonderful 3,5 years old male. His lovely red color continues long in his legs and he hasn't got any extra white marks. Ryuu has great bone structure and his movement is smooth. Ryuu has lovely round expression with japanese eyes. Ryuu lives with his father Daimon! 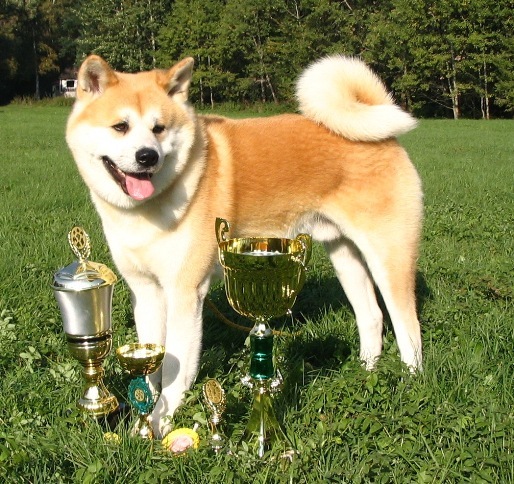 Ryuu has one litter before with seven red puppies in it. Ryuu's father Daimon has big victories and many titles from shows. 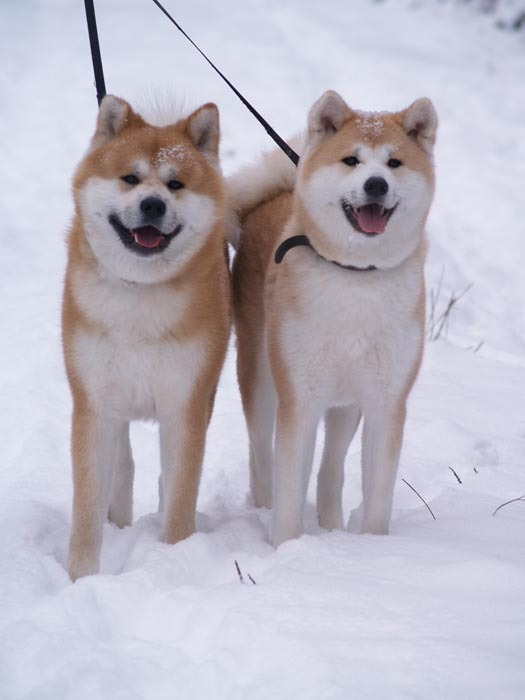 Daimon has many offspring in Europe, but none at Finland. 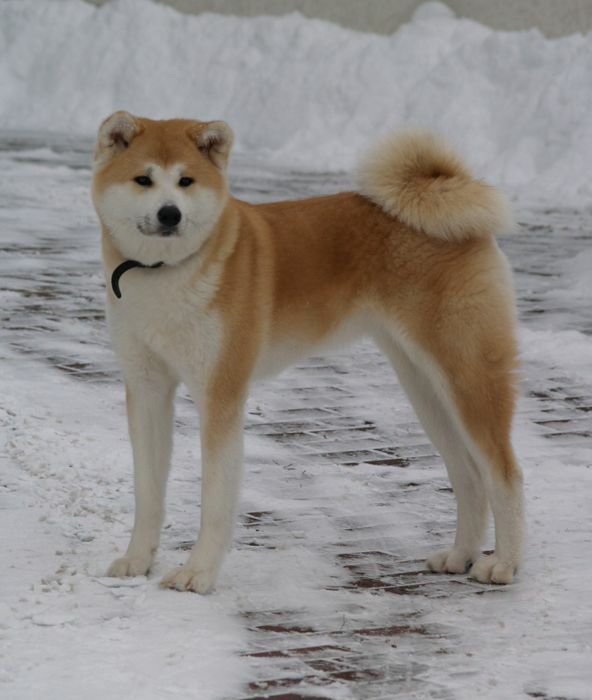 Ryuu is from its mothers Masahime's last litter. She was then 8,5 years old. 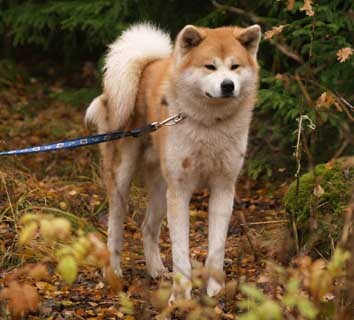 Hulda is energetic girl who lives with her mother Sissi! Hulda's hobbies are agility and shows. 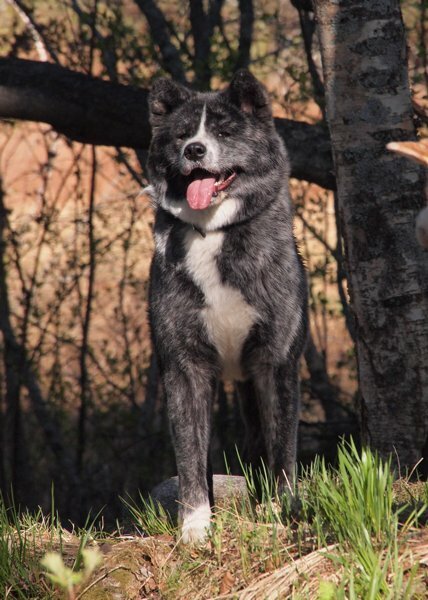 Hulda has healthy structure and very nice temperament. It is so nice to see how much of her looks comes from her great great grandmother Juno. I expected to get only red puppies, and I got it. 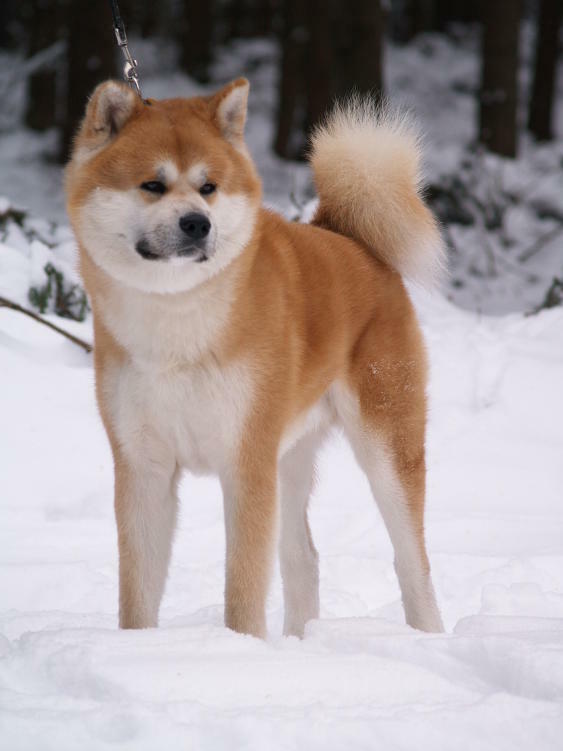 I'm waiting the puppy to grown up to be a great Akita with lovely japanese expression, gorgeous dark red color coat, healthy bone structure and movement. So lot to expect! Hulda is from Uma litter. She has 6 siblings and all of them are healthy, like is her mother and father. Hulda's uncle has most likely UDS (VKH). Ryuu's father Daimon is 11 years old and still alive. Ryuu's mother Masahime is put to sleep at the age of 9 years because of a cancer. Umare-boy is a new generation forward to my VU-line. 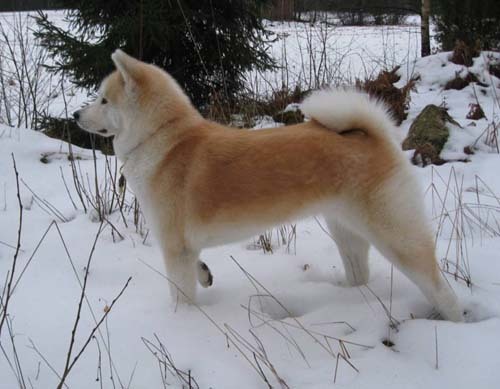 So I'm hoping to get puppies from Umare-boy and some lovely female some day. Umare-boy is VU-lines 5th generation. The litter is growing together with Hulda and Sissi.